Why Should I Create an Azure Account? 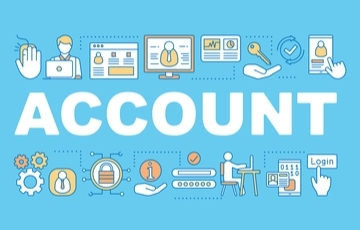 Why is Azure Account important for enterprises? Azure is Microsoft’s cloud offering that’s designed to build, test, deploy, and manage services and applications through a global and wide network of Microsoft’s datacenters. The platform offers a flexible and on-demand scalable IT infrastructure that’s ideal for businesses of any size. In fact, a growing number of organizations have opened an Azure account due to the technical and financial benefits. You can run your current .NET apps on the Azure platform without any trouble. They may require a bit of work, but the good thing is that it’s possible to migrate almost any kind of app to the platform, at any time. Using a cloud-ready application and desktop delivery solution such as Parallels® Remote Application Server (RAS), the migration process is smooth, fast, and without service interruption. It’s never too late to shift to the Azure platform using Parallels RAS. Azure allows businesses to scale their data storage and servers as needed without having to worry about software or hardware. The process takes a few seconds, making it very easy to meet sudden demand. IT administrators can easily meet users’ demand, even in the case of a sudden spike in required assets. Azure replicates all data three times—on different networks—to ensure safety. This ensures your data is secure and easily available. Even if one of the data sources goes down, the platform directs you to the other available backup as it works on repairing the damaged data. If you want to enjoy the full benefits of Azure, consider using Parallels RAS to enable application and desktop delivery on any device. It utilizes the best of Azure Cloud Service so you can provide quick, secure, and reliable access to server-based desktops and Windows applications. Download your evaluation trial now. Learn more about how Azure and Parallels RAS can help your business.